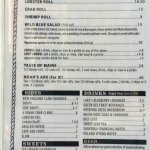 Al n.18 in classifica su 205 Ristorazione senza servizio al tavolo a Washington D.C.
Birra artigianale molto buona e tris di roll veramente buonissimi... abbiamo fatto il bis!! Molto buono con i gamberetti e con il granchio, favolo con il tipico lobster! Hello! 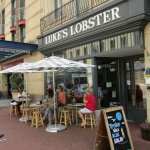 Thanks for coming to visit us at Luke's Lobster while you were in DC! I'm happy that you enjoyed your visit and had a chance to try our craft beers! We offer Maine micro-brews and a few local brews as well! Plus happy hour everyday from 4-7pm! Hello! Thanks for coming to visit us while you were in DC! I'm happy that you not only found us, but enjoyed your meals as well! Panino piccolo ma buono, da mangiare al volo, con un prezzo un po alto , locale carino da provare una volta. 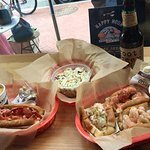 Thanks for stopping in Luke's for our delicious lobster roll!I'm glad that you enjoyed the freshness of the lobster roll. All of our lobster comes from sustainable sources through our sister company, Cape Seafood in Saco, Maine. This means we can offer the best lobster that we can get our hands on! Locale informale, servizio rapido senza troppe pretese. 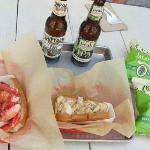 Ho preso la lobster combo con la quale si possono acquistare un lobster roll, un sacchetto di patatine e una bibita. Non proprio economico ma posso dirmi soddisfatto del pranzo. Ho assaggiato anche gli altri crostacei e devo dire che la qualità è buona. Hello Andrea! 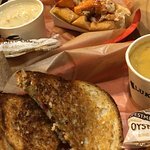 Thank you for coming to visit us at Luke's Lobster while you were in town! 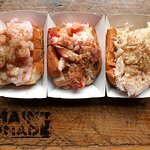 I'm glad that you enjoyed your lobster roll. 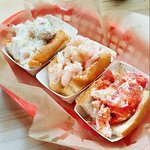 We source our lobster through our sister company Cape Seafood in Saco, Maine! It's all sourced from sustainable sources and can be traced right back to the port it was brought from! Il pesce nei panini è freddo!!! Abbiamo provato il "taste of maine", che includeva due chele (anch'esse gelide), patatine in busta e un sottaceto. La birra invece era calda, a luglio! Hello! 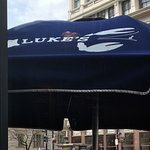 Thank you so much for stopping By Luke's Lobster during your trip to DC! We take great pride in providing DC with only 100% traceable and sustainable seafood! We are extremely happy to hear that you enjoyed what we work so hard to provide! Seafood is expensive but we are able to keep the prices below the industry standard as well as keeping the portion size the same or more than our competitors! Thank you so much on your feedback! 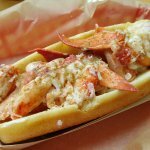 Conosci Luke's Lobster Penn Quarter? Condividi la tua esperienza!